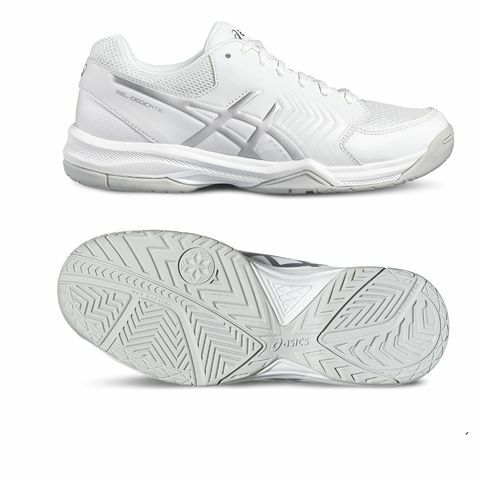 Offering excellent stability and traction on versatile courts, the Wilson Kaos Comp 2.0 men’s tennis shoes weigh around 318g (11.2oz) and ensure proper comfort and enhanced breathability thanks to a synthetic leather upper with smart perforations. 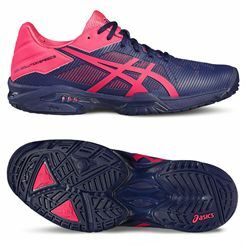 Additionally, the shoes feature the 2D-FS technology to ensure a substantial improvement of comfort, as well as added responsiveness and increased stability. In order to improve reaction time, and add more cushioning in the midsole, the shoes feature the Dynamic Fit 2 technology. Additionally, to ensure proper bounce, and increased impact attenuation in the landing phase, the shoes feature the R-DST+ cushioning. Furthermore, the shoes are resistance to abrasion and provide increased gripability thanks to the Duralast rubber outsole. 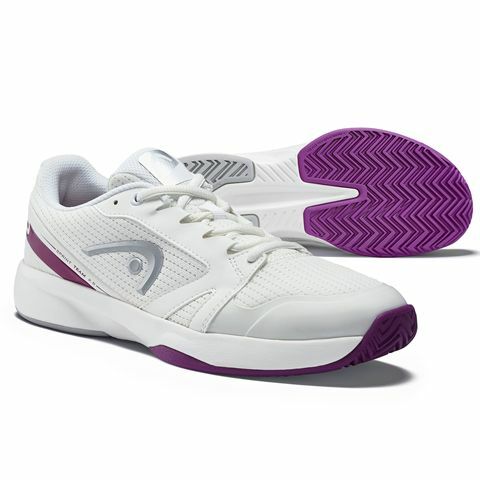 Made for ladies looking for the best in comfort and support, the Head Sprint Team 2.5 tennis shoes offer protection around the toe and medial forefoot area thanks to Drift Defense technology in a lightweight and breathable mesh and synthetic leather upper. With a low-to-the-ground injected EVA midsole, they cushion every step and absorb impact and the use of Lateral Control technology in the outsole results in a secure hold and added stability during extreme slides. 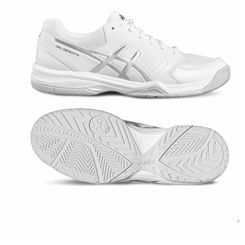 Plus, a hybrid outsole profile makes the shoes perfect for all kinds of tennis surfaces, whilst Hybrasion+ technology improves durability and traction. 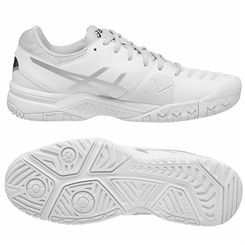 Endorsed by a Swiss tennis player, Stanislas Wawrinka, the Yonex Power Cushion Eclipsion 2 men’s tennis shoes offer a great combination of stability, comfort and shock absorption. Featuring Durable Skin technology in a lightweight and breathable P.U. 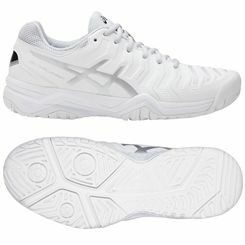 leather and Double Russel mesh upper, these stylish shoes ensure increased durability and smooth footwork. 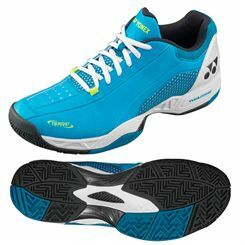 With Power Cushion™ and Power Cushion+™ technologies in the midsole, they guarantee exceptional cushioning and repulsion under feet and inject energy into every step on the court. 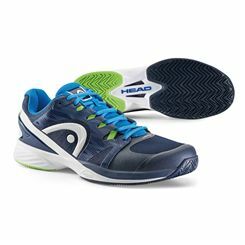 The shoes are suitable for all court surfaces and boast Agility Bolt to yield more support and fast, agile footwork. The non-marking outsole is made with Endurance Rubber II delivering great grip and traction for a controlled stop from a full sprint. 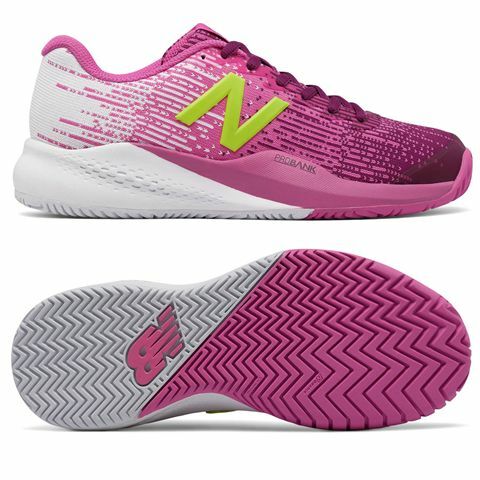 Utilising a unique knit-nylon upper with special form-fitting design, the New Balance WC996 v3 ladies’ tennis shoes provide a well-ventilated on-court performance, as well as added endurance. 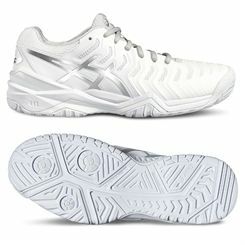 The pair feels great when going for a more dynamic all-around the court play style, due to supreme REVlite heel compound granting extra responsiveness, and soft cushioned underfoot. 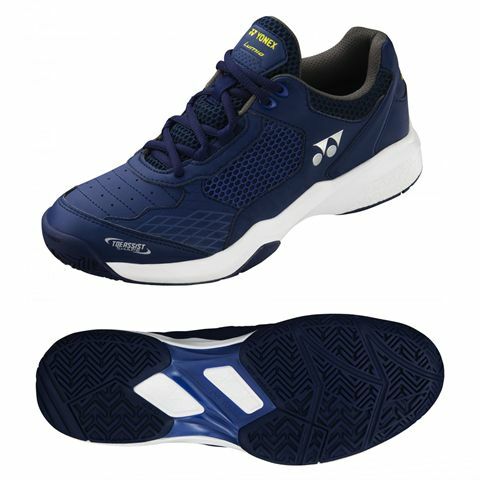 For additional stability, there is the PROBANK technology in the midsole, and moreover, the shoes won’t leave any marks when playing indoors, thanks to a solid rubber outsole also allowing for good traction. 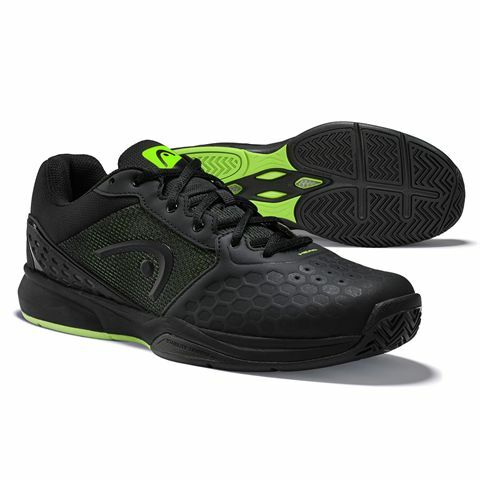 Best suited to club players looking for comfort and stability, the Head Revolt Team 3.0 are all-court men’s tennis shoes with a breathable upper featuring a flexible microfibre vamp. For excellent protection around the toe and medial forefoot area during aggressive toe drags, the shoes boast Drift Defense technology, whilst Head Cooling System™ in the upper, midsole and outsole delivers great ventilation. 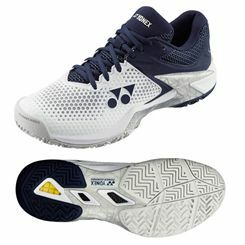 The EVA midsole is cushioned to provide soft landing and the outsole is made using Hybrasion+ technology for increased durability and traction on different court surfaces. Plus, there is Lateral Control technology to help avoid rolling over during extreme slides. 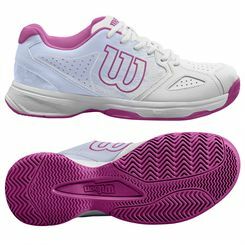 Any seasoned tennis player will agree the choice of footwear is a crucial element to how well you play and how injury free you stay. The best tennis shoe for you will fit snugly across the width of your foot and have at least a half-inch of space between the toes and the end of the tennis shoe, so your tennis shoe size might actually differ from your standard shoe size. 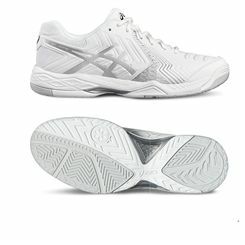 Your style and level of play will influence how quickly and how far you move in a typical game but whatever level you compete at you need shoes that fit properly, which accommodate your foot type, and support all those rapid stops and starts whether you’re moving forward, backwards or sideways. The toe and sole areas are probably the zones of the tennis shoe subject to the greatest amount of battering, and all good tennis shoes will be particularly durable here. 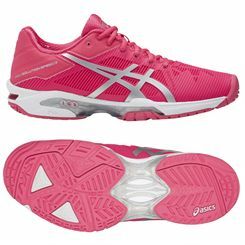 But the more durable you go the heavier the shoe and that will of course impact on your speed and agility. If you’ve played a while and have some shoes that need binning look at the key areas of wear and tear and ensure they’re the areas that are strong and reinforced in your replacements. The areas of wear will also be down to your foot type, only 10% of the population have what are known as ‘neutral’ feet which have a slight arch on the inner and reasonable floor connection to the side beyond. The majority (around 60%) have pronated feet (AKA Flat feet) which drive more weight to the inside of the foot wearing the shoe there and often resulting in injury if the arch isn’t adequately supported. If you’re supinated it’s the opposite; the arches are high and the outer edge of the tennis shoe will wear. The support you need will also be determined by your size and weight, the taller and heavier you are the greater your requirement for cushioning and support. 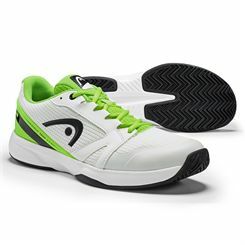 Tennis shoe materials tend to be either 100% manmade fibres or a combination of manmade and leather. You need your feet to be supported, comfortable and able to breathe. Playing style is another critical factor. Do you run forward and back more than side-to-side? If you do, good toe support is a must. 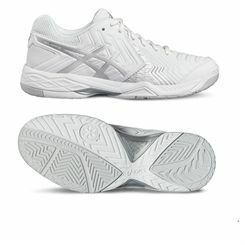 All decent tennis shoes will include some lateral support, but if you tend to play along the backline of the court then you’ll need even more lateral support than most to cope with the increased number of sideways movements. Equally important is the surface on which you play. The harder the surface the more durable you need the sole to be. 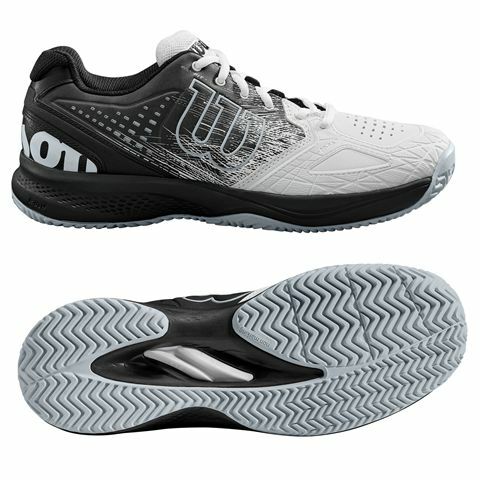 Concrete will quickly wear out a tread if it’s not fit for the surface and if you’re playing on clay or grass you need more traction on your sole to support those rapid stops, starts and changes in direction. 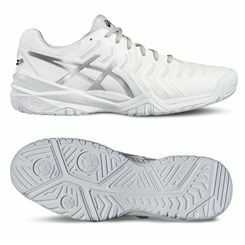 Lots to consider we know but once you’ve found your optimum tennis shoe, you’ll play better than ever.